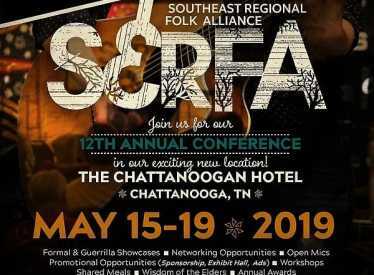 SERFA is the Southeastern regional chapter of Folk Alliance International, advancing folk music in the Southeast. 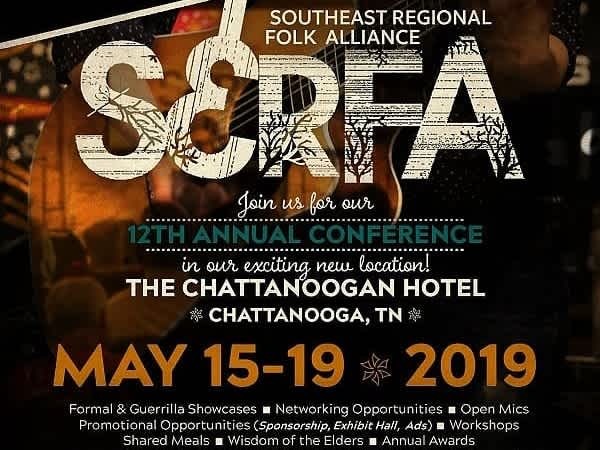 The annual conference spans several May 15-19, 2019, and brings together artists, songwriters, presenters, DJs, and other music industry professionals. Days are filled with informational seminars and workshops, and the evenings are music-filled, with featured performers ("official showcases") followed by late-night shows in intimate settings ("guerrilla showcases"). SERFA Conference 2019 Keynote Speaker Ellis Paul.